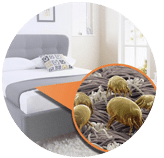 Get a peace of mind and good rest with our best mattress cleaning service for urine and other stains and be rewarded with the luxury of a good night sleep to all our hardworking clients and parents. 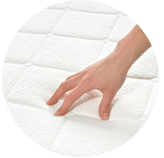 We have materialized a method to remove urine stains and odors out of your mattresses to provide you the quality sleep that you deserve. We care for all our clients, that’s why we also take care of every mattress that we come by. We do this with just 2 simple steps. Our pro cleaner will remove the stains out of your mattresses by scrubbing it with our very own mattress shampoo product and a clean wet towel. The shampoo will remove the stubborn urine stains and will also eliminate the stinky smell of urine. After shampooing with some water and detergent products, we also make sure that your mattress is thoroughly air dried. 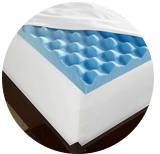 This is to ensure that you will have a fragrant, clean and ready to use mattress. 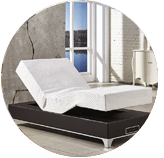 Of course, we would not want your newly cleaned mattress to be an ideal ground for bacterial growth, so we really focus on this step to provide you the luxury that you need. We provide the greatest care to each and every mattress, but not all mattresses are created and stained equal. Though we remove the urine stains most of the time, some stains are just too stubborn and old. 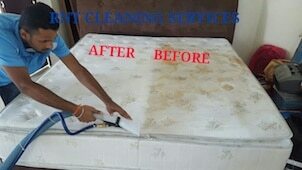 We strive hard to remove the odour and stains on your mattress to make them look like brand new. Other than urine stains from pets, we can also remove allergen, dust mite, rust, pest mites, makeup, lipstick, coffee and ink stains. 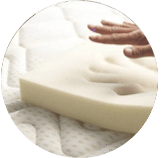 As much as we thrive for perfection, we also thrive for care and quality, we remove stains and smells but not to the expense of damaging or cause a tear on your beloved mattress. The common household of using baking soda or vinegar and leave it to absorb the pee might not be as effective. 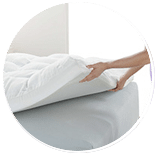 The job of our top cleaners when cleaning your mattress may seem easy, but we, parents and hardworking individuals, know that it is not. It could consume a lot of our time, take up so much space in the laundry area and so difficult to completely dry out. And it is our job to make things easy for you. Let us be partners in giving you the good night sleep that we all deserve. If you have any enquiries regarding our house mattress urine cleaning work service in Kuala Lumpur and Selangor, please contact us today via call or send us a message for further information and tips or to book an appointment. Let our friendly team assist you right now with an effective solution. Our customer service team will reply to your request within a few working hours to find out more and discuss further about the mattress urine removal and cleaning service that you require. Subsequently, we will issue you a quotation and an invoice for the mattress urine removal and cleaning service. 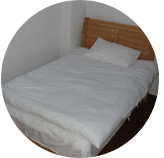 Our mattress urine removal and cleaning service is available in Peninsula Malaysia from Kuala Lumpur, Selangor, Ipoh, Johor, Malacca and Penang. Speak to our team to enquire more about the mattress urine removal and cleaning service that we provide in your area. I have a special request for the mattress urine removal and cleaning service, can this be done? 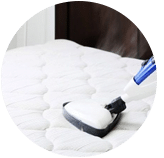 We understand that sometimes our customer have special requests for mattress urine removal and cleaning service with regards to timing and other matters. In this scenario, you can contact our customer representative team at 017-232-6491 to discuss your mattress urine removal and cleaning request.